Why is Charles allowed to start up all over again allegedly through his Mom? This doesn't compute ... and why would anyone be happy about this? The Statesman wrote "Brescia and Martinec both say McAllister’s parents won’t manage the new company at all. Charles McAllister’s lawyer, Randy Leavitt, said his client will have no involvement in the new business, either." Brescia is Charles' Mom's attorney, and Joe Martinec we know as Bullion Direct's attorney. If Charles is really running the show, he (and/or 3 attorneys) could get in some hot water. so who is running it ? is there a name ??? ... do they have a resume ??? meanwhile, Charles didn't seem to get in that much trouble for the first fiasco, so why would he fear trying it all again? It is not clear who is running it. I believe I saw that Dan Bensimmon might be. They will likely need to address that: if this was a company I'd never heard of, I would warn people of the risk of lack of transparency as to who the owners are. Not a giant red flag on its own, but noteworthy. And we still don't know if Charles dodged a bullet, or whether (more likely) there are lawsuits and/or indictments coming. Let me get this straight. Bullion direct took our money claimed metal stored. Change terms of service in middle of the night. Told no one. Embedded money. Now new company is wants people to believe in them. This just confuses my tax loss on paper. The difference here is that this is (in theory, at least) a different company. It is just using the same underlying technology. The problems with Bullion Direct were  Charles didn't know business (you can't run an unprofitable company at a loss forever),  Charles loved spending money (e.g. looking to put $4M down to buy a $20M gold mine at a time when he shouldn't have had any way to access $4M),  Charles refused to accept reality, thinking somehow he could "fix" a $25M debt. Bullion Direct stole your money/metal. The similarities with Bullion Universe are  it uses some of the same technology (which was successful), and  is owned by Charles' mother (and stepfather). #2 does seem bad. But, her offer was the best offer: nobody else came up with a better offer. She is a successful attorney, and isn't going to run a scam. From what I understand, she is having someone else (not Charles!) run the company, and there is going to be oversight. If there *was* a bankruptcy where they owed customers metal/money, the media would likely love to report on it. And of course, I'll be keeping an eye on things, too -- closer than I typically do, due to the circumstances. "she's a lawyer, so she won't run a scam" ... are you kidding me ?!?!? "you'll be keeping an eye on it" ?!?!?! how would you know what is really going on behind the curtain when it all comes down to the STORAGE of gold ? ... do you have a video camera in their vault? or, he's a low life douche bag criminal working another scam. you know which one I am thinking. it would be interesting to see if a Mr. Grimmitt is working under the banner of the new bullion co.
lsat known Address in Auburn. How come JG didn't pick up on this (name change), if he's following this thing more closely than normal? and JG wants us to "spread the word" ... so our friends buy from these people ?!?!??!?!? The question isn't whether I was the first to pick up on this, the question is whether I picked up on it here. Although perhaps 80% of what I discover is through research I do, a good 20% or so comes from people who know what I am doing and share (publicly or privately). Remember, people who have been scammed have much more incentive to get this type of information. I have a massive amount of information on Chad, his family, places he has been since he shut down the company, etc. And this is another name I have in my database. If I forget the name, and later see some odd reference to it, the name will now pop up when I do a search. To be clear: I am not assuming that he is indeed using this name (in fact, I am assuming otherwise until I have proof). I am treating it as a lead, which may go somewhere or may not. I just found out that CHM has a new alias ; Charles Grimmitt. Good work -- that name is definitely linked to CHM. 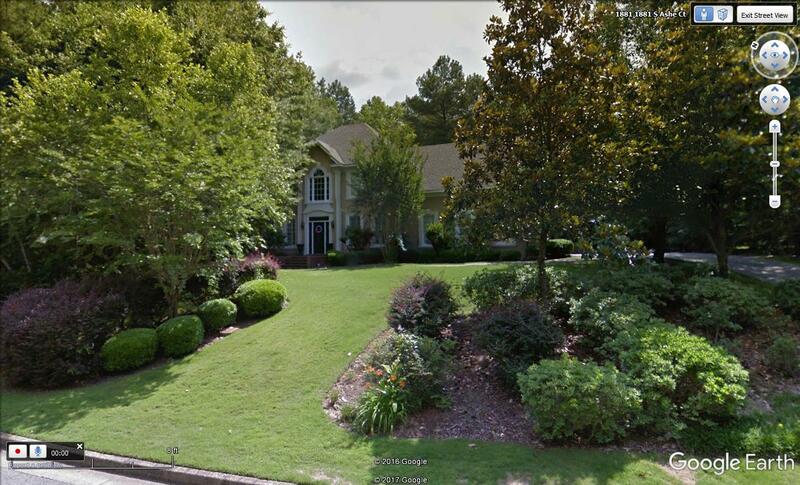 And it looks like you found the house that CHM rents/rented in Auburn. It is possible the name goes back to around the time that Charles started Bullion Direct. The one address I see being correlated to Charles Grimmitt is one that Charles and his wife used a long time ago (around 2000, although his wife may have lived there for many years before she met Charles). I'm not sure why that address would stick out if he created the alias recently. But it is pretty clear that at some point he decided to use that alias. There is even a phone number associated with CG that was used by CHM. While we are at details like this, it looks like Charles got divorced, and his wife re-married (living in Alabama). It is also possible that he is trying to hide from creditors that are threatening him. There is actually someone out there (presumably a creditor) that put a webpage up about him, and includes a photoshoped picture of Charles with a noose around his neck. Why would you want to go anywhere near a business like that (to do it all over again)? I'm sure the Mom is ready for saint hood, the most honest cherry pie maker on earth ... but something stinks about this whole thing in my humble, silly opinion. Using an alias to run Bullion Universe would only be necessary if he was doing something that required giving out his name. He may well plan to be involved, but now that that name is known to be associated with him, he can't use it. And if he was going to use a fake name for Bullion Universe, why use it elsewhere where it can become associated with him (e.g. apartment lease, phone records, or whatever it was that caused CHM to be associated with CG). Why would his Mom do this? I'm guessing to help get the spotlight off her son, and if she is successful (as I'm sure Charles said the new company would be), that could well be either less money her son owes or less jail time. That jail time piece could be a very strong incentive. It's no secret that her son ran what attorneys called a massive fraud, and it would be naive of her to assume that there are no criminal indictments being created against her son. I'm no fan of his mother, but if fraud occurs with the new company, people are going to complain fast and loud, and to the right agencies to see to it that action takes place quickly. And at that point an argument could be made that could potentially make Charles' Mom liable for the Bullion Direct debt. JG ... with all respect ... you are possibly the only person on this very informative site, that believes they should be given the benefit of the doubt. Why would the Mom get in any business that could possibly put her on the hook for the sons $25 million fiasco? UNLESS you get CM back into the STORAGE hustle ... hmmm ... then suddenly the business might not seem like such a bad idea. I'm not accusing the Mom of anything-I'm sure she is saintly ... but why isn't CM in a prison cell ?? ?